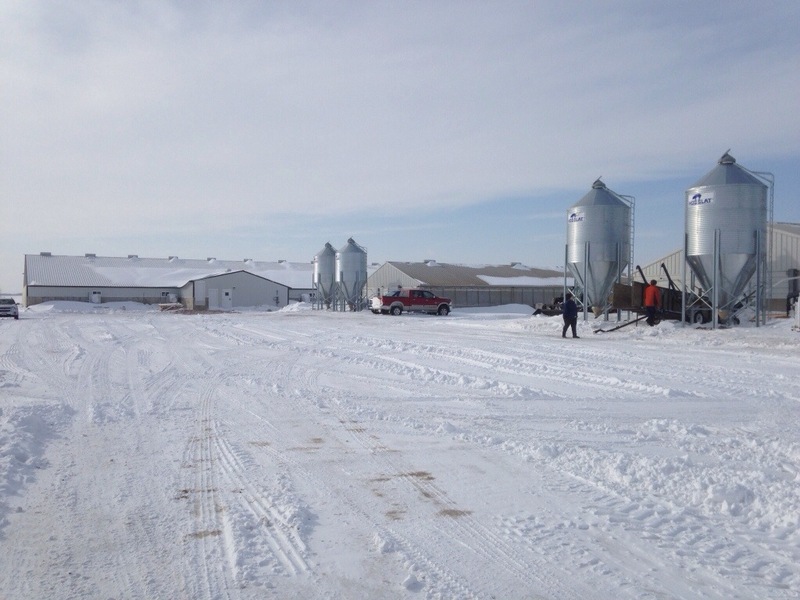 Now that we have almost 4000 little pigs in our hog barns, our focus turns to how to better manage the double-sized operation without needing to add manpower. My dad and brother are excellent herdsmen, and I have no doubt that the added pigs are in good hands … but my end revolves around making sure that our numbers stay good and that we are building a sustainable business not just for the short-and-medium term but for the future a well. Of course I jump to thinking about using technology in some capacity, so I’ve been working in my mind about how that will work. The most obvious change we have made is to move our bookkeeping online to Quickbooks Online and using the iOS apps to make us more honest and to easily add receipts for those things we purchase. The update to the website has made the service much easier to use and we have been pleased with it so far. However, when it comes to working out at the barns themselves that is still going to be a WIP. Since the office is not complete (it is currently a covered mud hole until the ground thaws enough to pour the concrete floor), that will need to happen in the future. However, here are some thoughts on what I am going to be attempting. I am going to keep as little technology permanently out in the office. I’ll have a place to keep papers that need to be scanned, but the technology for the office will be completely mobile so that it can be kept in better conditions. Every piece of paper we need to keep around will be scanned, organized, and stored where it can be backed up continuously. The documents we have are too important to have in only one physical location. I am looking at moving some of our paper stuff to an iOS application. Some benefits would be digital historical records for the pigs along with additional features like a camera that can be used to document needs within the barns and easy access to information like dosage recommendations for medications and other information. That is a very long-term project but after going through PQA Plus certification there is so much to keep track of that you really need to have a companion with you and I think an app could do just that. Our generator maintenance schedule and information will also need to be digital in some way. Possibly a separate application or maybe just a spreadsheet to start until I get a better handle on what the information needs to look like. Those are just a few ideas I am tossing around at the moment. More will come, many will die off and be replaced with others but the idea is to try and use technology to make things easier and not more difficult. The benefits should always benefit the farmer and the animals and I think there are huge areas completely ignored by the technology industry right now to do just that.